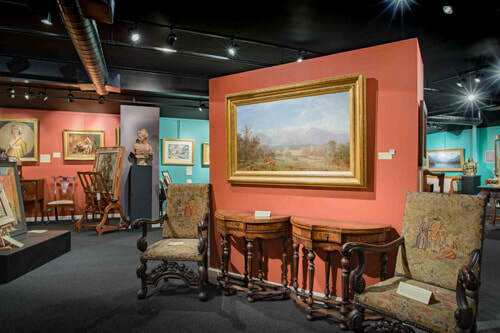 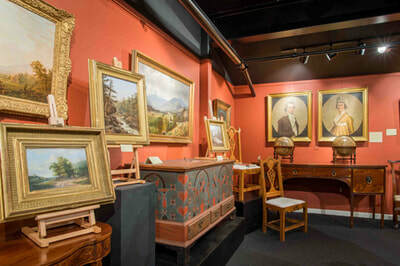 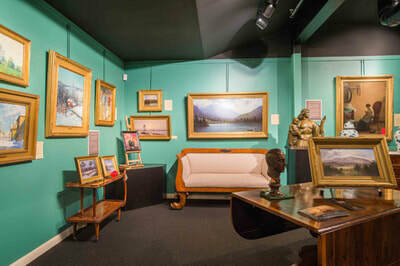 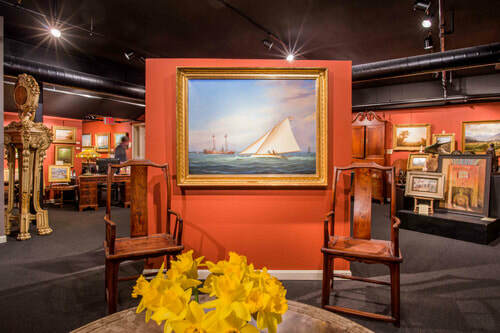 The Gallery at New Hampshire Antique Co-op is New Hampshire's destination for paintings, sculptures and other works of fine art from the 19th through 21st centuries. Established in 1995 by New Hampshire Antique Co-op owners Jason and Sam Hackler, The Gallery offers a wide inventory of works by noted American and European artists, as well as rotating exhibits, featured artists and gallery talks. The Gallery was renovated and expanded in 2005, adding a new 3,500 square foot exhibition space. 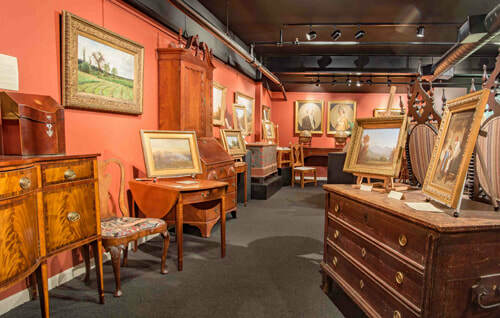 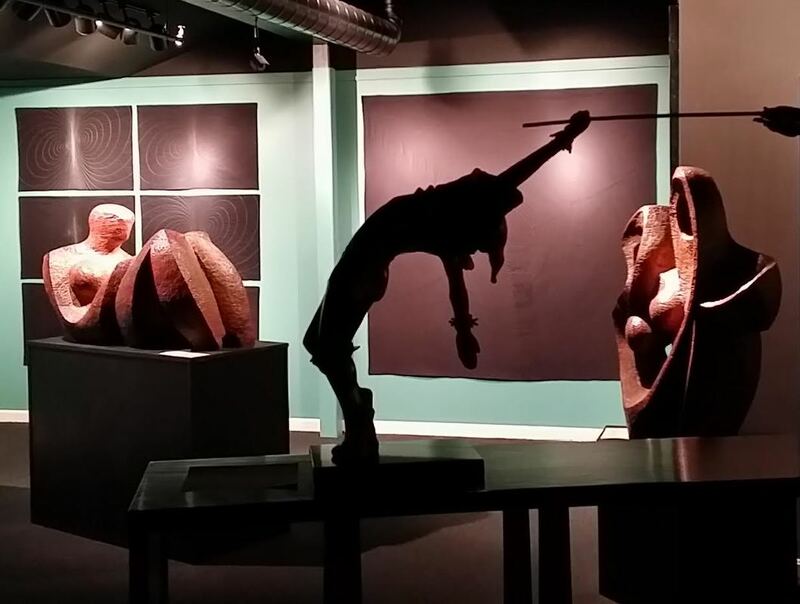 Jason and Sam have been collecting and dealing in art for more than three decades and have exhibited at fine art and antique shows throughout the Northeast and beyond, including Boston, New York and Miami. You will typically find one of them present to discuss a new acquisition, give a tour of a current exhibition, conduct appraisals and answer questions. 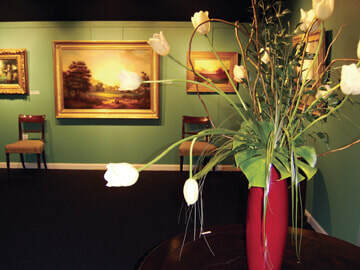 Shop for paintings, sculpture & other works of art in NHAC's online gallery at RubyLane.com. 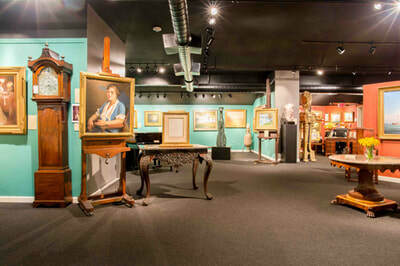 Shipping, delivery and in-store pick up available.